The Canada Organic Trade Association is the lead representative group for Canada’s organic sector to government and policymakers. Based in Ottawa, COTA regularly meets with government officials, Members of Parliament and their staffs to ensure organics is broadly understood and well represented. Our board and staff members regular testify before Parliamentary Committee, roundtables and at industry consultations. One of COTA’s member services is to bring the sector together and represent its needs and interests as a collective. We also represent the interests of individual members on important or sensitive policy positions. For more information on joining COTA and having us work with you on your strategic relations, please visit the membership page. 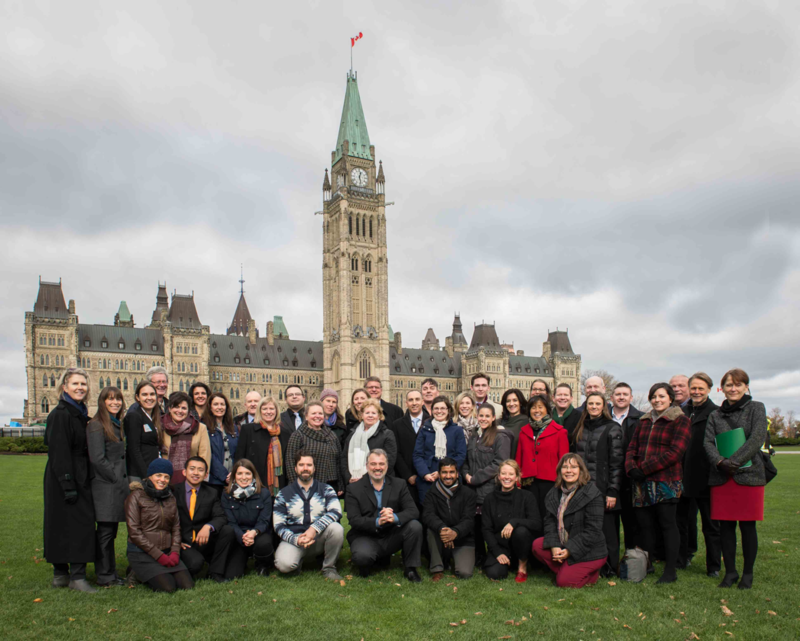 COTA also coordinates the annual “Organics on the Hill” policy conference and Hill visit, including the popular all-organic Canadian reception for MPs, senators, staff and government officials. Please direct inquires regarding the Report to Jill Guerra. On January 21st, 2017, the new Safe Food for Canadians Regulations (SFCR) was released in Gazette 1. Industry and consumers had until April 21st to comment on the regulations. Once the SFCR is published in Gazette 2, it will bring the Safe Food for Canadians Act into force. COTA has been involved since 2013 in the consultation process around the SFCR and worked to produce a rigorous analysis of the impacts of the proposed SFCR on the organic sector. Every five years, Agriculture and Agri-Food Canada (AAFC) conducts a national consultation process with the agricultural sector. The purpose of this process is to gather policy and program recommendations that ensure Canadian agriculture continues to thrive and adapt to new research, environmental challenges and consumer trends. This process will help inform the Government of Canada’s Next Agricultural Policy Framework – a set of policies and programs that will steer Canadian agriculture from 2018-2023. The Organic sector is a burgeoning industry that requires specific tools to maintain its growth. Our recommendations, see the link here, present the various needs and priorities that we want to see addressed in Canada’s Next Agricultural Policy Framework. This document is a joint report, written collaboratively by some of Canada’s main national organic associations: Canadian Organic Growers, Canada Organic Trade Association, Organic Federation of Canada and USC Canada. This report was submitted to the AAFC on November 30th. By working together and having a united voice for the Organic sector, we believe we will have a stronger impact on Canada’s Next Agricultural Policy Framework.